Steel underframe. Aluminium alloy body and roof. The British Rail Class 153 Super Sprinters are single-coach diesel multiple units converted from two-coach British Rail Class 155s. The class was intended for service on rural and branch lines where passenger numbers do not justify longer trains. In the late 1980s, British Rail took delivery of 35 two-coach Class 155 units from British Leyland to replace older Regional Railways DMUs. Shortly after, West Yorkshire PTE took delivery of 7 two-coach units for use in the Yorkshire region. After the Class 155s entered service, it became an emerging requirement for ageing rural and branch line trains to be replaced. In the early 1990s, BR decided to go forward with plans to convert the Regional Railways Class 155 fleet into single-coach multiple units and to replace its fleet of Class 121 and 122 diesel railcars. In 1990, British Rail issued a contract to Hunslet-Barclay at Kilmarnock for conversion of the Class 155 units. From 1991 to 1992, the 35 two-coach Class 155 units began to emerge from the works as single-coach Class 153s. A total of 70 single-coach class 153 multiple units were created which were numbered in the range 153301-335 and 153351-385. Individual coaches are numbered 52301-335 and 57351-385 (originally 57301-335). The layout of the original non-cab ends was different from the original cab end, so the ends are noticeably distinct, and the vehicles are not symmetrical. The 7 West Yorkshire PTE Class 155s were not modified and remained as two-coach class 155 multiple units. Their maximum speed is 75 mph (121 km/h) and suited for working less widely used local services such as the London Midland service from Coventry to Nuneaton and the Heart of Wales Line. They are fitted with standard BSI auto-couplers and are therefore able to work in tandem with other multiple units fitted with the same coupler, including classes 142, 143, 144, 150, 156, 158, 170 and 172. The new or small cab is significantly smaller than the original Leyland cab and encroaches on the door vestibule area, providing cramped conditions for Drivers and Guards. Similar to other Sprinter units, such as the Classes 150/2, 156 and 158, these units have gangway door connections at either end that allow passengers and staff to walk between units working in multiple. These units also have the benefit of having passenger door control panels at either end of the cars. The class was a common sight in Regional Railways areas. Upon privatisation of British Rail, the Class 153 fleet was divided amongst several different operators. Arriva Trains Wales has a fleet of 8 Class 153s. They are normally used on rural branchlines, such as the Heart of Wales Line from Shrewsbury to Swansea and on local stopping services from Crewe to Shrewsbury via Nantwich – but are also used on some mainline services. One is used daily on the short Cardiff Queen Street to Cardiff Bay shuttle. Following the timetable change on 9 December 2007, Arriva Trains Wales lost three Class 153 units. Two were transferred to East Midlands Trains with the other going to First Great Western. 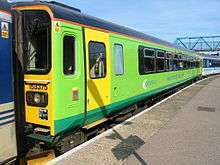 London Midland use ten Class 153 DMUs on commuter lines in the West Midlands including the Coventry to Nuneaton Line and the Marston Vale Line between Bedford and Bletchley. All ten units were inherited from Central Trains in their livery. All of the units are being repainted into London Midland city lines livery upon refurbishment at Eastleigh works. The Class 153s that were used on the Stourbridge Town Branch Line have been replaced by new built lightweight Class 139 railcars. This was due to take place in December 2008, but the delivery of the new units was delayed, and after several months of bustitution London Midland reintroduced diesel services from 15 March pending the completion of Class 139 testing. The Class 139 received passenger certification from Network Rail in March 2009 and the service finally began three months later. East Midlands Trains inherited many different examples of Class 153 units, receiving six from Central Trains, three from National Express East Anglia and four from storage at Eastleigh depot (formerly in service with First Great Western). On 9 December 2007, East Midlands Trains has also received two additional Class 153 units from Arriva Trains Wales and two additional trains from Northern Rail. All of the East Midlands Trains Class 153 units have been repainted into the local lines livery of the company. As of July 2010 the first unit from the local fleet for East Midlands Trains 153319 entered Neville Hill depot in Leeds for a C6 refresh programme. This work will include corrosion repair, internal refresh and a cab refurbishment programme. First Great Western took over the Wessex Trains fleet upon the merger of the two franchises. Wessex Trains had, in turn, inherited its fleet of 13 units from its predecessor, Wales & West. Units are used on local services in Cornwall, Devon, and around Bristol. They are also used on Bristol Temple Meads to Weymouth, Southampton, and Worcester services and Swindon via Melksham to Southampton service. In mid-2004, Wessex Trains received a further two units from Central Trains (unit nos. 153329 and 153369) to allow it to lengthen some services. Following the introduction of a new timetable on 12 December 2006, four units were taken off lease and stored at the former Alsthom works at Eastleigh. They were Nos. 153302, 153308, 153355 and 153374. This decision was criticised at the time by passengers, this was due to an increase in overcrowding on services in the West Country. After a period in storage these four units were pressed into service with East Midlands Trains. On 9 December 2007, First Great Western received an additional Class 153 (number 153361) from Arriva Trains Wales bringing its total to 12. This unit arrived in the blue with gold star livery of former operator First North Western. Installation of Richmond 'Navigator' high backed seats in the navy blue 'First Great Western' moquette. The earlier Wessex refurbished Class 153s No. 153329, 153369, and the ex-Arriva Trains Wales 153361 feature Chapman seating as per the ex Wessex Trains Class 150/2s. This refurbishment programme was completed by early June 2008. In 2011 fire damage on car No.52221 of Class 150/2 unit 150221 prompted No. 153369 to be temporarily joined up with surviving car 57221; the formation was renumbered 153399. This hybrid was disbanded when car No. 52221 had been repaired. The following year, 153369 was volunteered for a hybrid set again and paired up with half of Central Trains-liveried 150202, creating a particularly odd-looking set which was again numbered 153399. The other half of 150202 was undergoing repairs for accident damage. For Summer 2011, two London Midland Class 153s, 153325 and 153333 were allocated to the South West for strengthening purposes, based at Exeter (EZ) depot for the duration. This allocation was made permanent from 2012 as London Midland transferred them to this area as a result of keeping three Class 150 units after all the new Class 172 units entered service. The Northern rail franchise started operations in December 2004. They inherited the fleets previously operated by Arriva Trains Northern and First North Western, whose routes the new franchise incorporated. Northern operates the largest fleet of Class 153 units. Northern inherited a fleet of eight units from First North Western (FNW), which are used on local services around Manchester, Chester and on Lancaster to Barrow-in-Furness to Carlisle and Preston to Ormskirk services. The fleet was repainted in the now obsolete North Western Trains blue and gold livery. Prior to becoming part of Northern, four former FNW units were transferred to the Arriva Trains Wales franchise, since the lines operated by FNW in Wales were transferred to this new company. A larger fleet of 12 units were inherited from Arriva Trains Northern (ATN). They are used on various local services around Leeds, Doncaster, and Sheffield. One regular job is the Cleethorpes to Barton-on-Humber services, which see a class stable at Cleethorpes overnight and Sunday. Other jobs are the Lincoln to Scunthorpe via Retford and Sheffield, and the Saturday only Sheffield to Cleethorpes via Retford. In December 2007, two units were taken off lease from Northern and transferred to East Midlands Trains. Both units, 153319 and 153357 carried Arriva livery. From late 2007, a re-livery programme has started on Northern's Class 153 trains. All of Northern's Class 153 trains have been repainted into Northern livery. A Class 153 usually works with a Class 158 to make 3-car formations on Leeds-Settle-Carlisle services. In 2003, Anglia started to refurbish its fleet, and repaint them in Anglia Railways livery. However, only three (unit nos. 153309/322/335) were completed; In 2004, Anglia became part of the 'One' franchise operated by the National Express Group (which was subsequently renamed National Express East Anglia). inheriting the fleet of seven units, for local services in Suffolk and Norfolk. ONE reassesed the fleet requirements and allowed 153311 and 153326 to leave the franchise to East Midlands Trains, which has had repercussions with unit service availability since. Services operated by these units included Norwich to Sheringham and Great Yarmouth, Norwich to Lowestoft, they were also sometimes seen on the Ipswich to Ely Line. This has since become part of Abellio Greater Anglia. During 2012, the owning ROSCO (Porterbrook) began refurbishing the body and interiors and repainting them in base white with red doors and 'Greater Anglia' logos. In 2014 a rolling refurbishment of Abellio's 153's commenced, this includes new interior panels, tables, carpets and lighting. Class 153 consists of 70 single-car units converted in 1991–92 from Class 155 two-car units. When the units were first introduced, Hurst models produced a detailing kit to convert a Dapol model of a 155 into a 153. The Class 153 has been produced in OO scale by Hornby. The following liveries are/were available; Central Trains, First Northern Star, Abellio Greater Anglia, Northern Rail, Regional Railways, East Midlands Trains, London Midland City, Arriva Trains Wales and Great Scenic Railways of Devon and Cornwall (Wessex Trains). These models have been praised for their detail. More recently, Dapol have announced a N Scale version. Making Tracks have a digital model available for the PC Railway simulator Microsoft Train Simulator. Just Trains has released a digital model for the PC railway simulator Railworks. 1 2 3 4 5 6 7 Dave Coxon. "Class 155 Super Sprinter DMU". Retrieved 2 March 2014. 1 2 3 4 5 6 7 8 Vehicle Diagram Book No. 220 for Diesel Multiple Unit Trains (Railcars) (PDF). Barrowmore MRG. Derby: British Railways Board. 1982. DP248, DP249. 1 2 "Our Fleet". Arriva Trains Wales. Retrieved 2 March 2014. 1 2 3 4 5 "Class 153". The Railway Centre. Archived from the original on 9 March 2005. ↑ "Mechanical And Electrical Coupling Index". Rail Safety and Standards Board. Archived from the original on 21 December 2013. Retrieved 2010-12-20. ↑ "Class 155 Fleet Details". Porterbrook Leasing. Retrieved 2 December 2015. ↑ "Arriva Trains Wales Fleet". Arriva Trains Wales. Retrieved 2 December 2015. ↑ "Stourbridge railcar receives its passenger licence". London Midland. 2 April 2009. Retrieved 11 April 2009. ↑ "Latest News". Parry People Movers. 2009-06-19. Retrieved 2009-06-24. ↑ "The News in Pictures" (PDF). 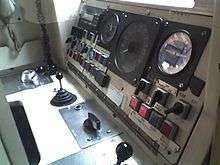 Railway Herald (241). 2010-10-04. p. 2. Retrieved 2010-12-21. ↑ "DMU FORMATIONS". AbRail. Retrieved 27 March 2015. ↑ "DKU103 Pair of Class 153 Conversion Kits". Hurst Models. Retrieved 2 December 2015. ↑ "HORNBY CLASS 153". Intertrains. Archived from the original on 11 April 2009. ↑ "Class 153 released". Dapol. Archived from the original on 25 July 2011. ↑ "BMUC 6 :: Leyland Class 153 / Class 155 Stock Pack". Making Tracks. Retrieved 2 December 2015. Fox, Peter; Hughes, Barry (1994). DMUs & Channel Tunnel Stock. British Railways Pocket Book No.3 (7th ed.). Platform 5. ISBN 9781872524597. Marsden, Colin J. (2011). Traction Recognition (2nd ed.). Ian Allan. ISBN 9780711034945. Marsden, Colin J. (2014). Traction Recognition (3rd ed.). Surrey: Ian Allan. ISBN 978-0-711037-92-2. Wikimedia Commons has media related to British Rail Class 153.